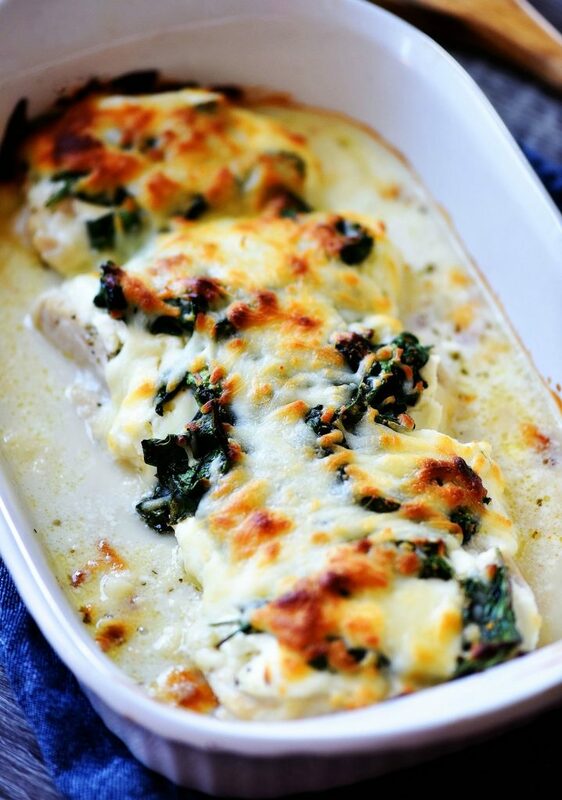 Cheesy Chicken Spinach Bake is loaded with a creamy cheese mixture, sautéed spinach and chicken breasts. 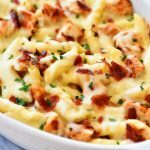 This is a delicious low carb meal and really simple to prepare! Over the last 6 months I had been feeling mildly depressed and was packing on some extra weight. I was feeling lousy. After Kale started working from home with me we agreed we had extra time to get in regular exercise. We bought a gym membership and made it a habit to exercise 4 to 5 days a week. It had been a good minute since I had seen the inside of a gym, let alone got my heart rate over 100. haha. So for the last 4 weeks we have been consistently going and we are both feeling awesome! I also love that it’s something we can do together. 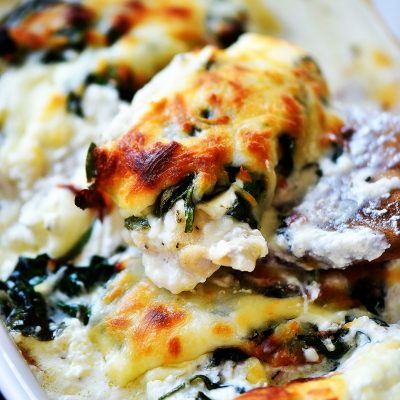 Inside this incredible Cheesy Chicken Spinach Bake is sautéed spinach, a creamy dreamy cheese mixture, and of course, chicken. It is wonderful and the flavor is so good. I like to serve it with roasted asparagus or a caesar salad and we just love it. 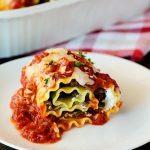 I have been researching more of these yummy low carb dinners and plan on sharing some in the near future! But before that, make sure you try this one. It’s awesome. Preheat oven to 350 degrees F. Spray a 9x13 inch glass baking dish with cooking spray. Lay chicken breast cutlets in baking dish. Drizzle 1 Tablespoon olive oil all over chicken. Sprinkle evenly with minced garlic and Italian seasoning. 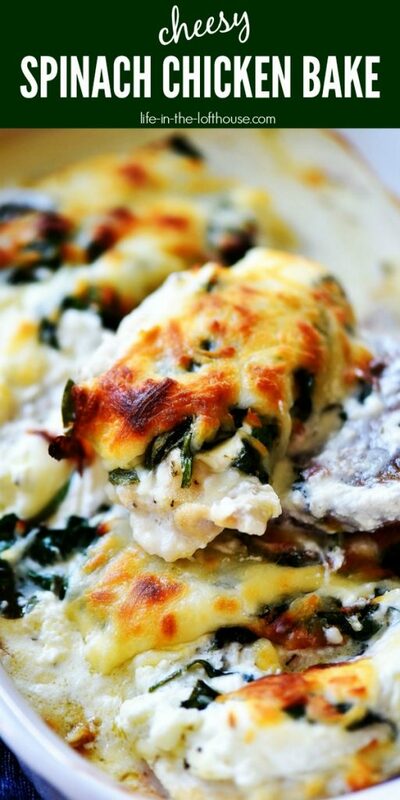 Spread softened cream cheese all over the tops of chicken. Meanwhile, heat a small non-stick skillet with the remaining 1 Tablespoon olive oil over medium heat. Add baby spinach. Cook and stir until spinach wilts. Place wilted spinach evenly over chicken. Sprinkle Mozzarella cheese all over the top. Bake 35 to 40 minutes or until chicken is cooked thoroughly (inside temp of chicken should be 165 degrees F.) Serve warm and enjoy! *Recipe updated 2/25/19 to fix temperature and cooking time. *All ovens heat differently. Always check your chicken to make sure it's fully cooked. I really enjoyed this recipe. It was easy to make and delicious. I used light cream cheese with excellent results. Thank you for another great recipe! Looks good! What are you counting as Italian seasonings? You can find Italian seasoning already in a bottle at the market McCormick makes one. This not only looked great it tasted great. The amounts of mozzarella cheese and cream cheese were spot on. Easy prep and a great main dish ready so fast! Thank you! So glad you enjoyed it!! Wondering if you happen to know the nutritional facts? Like the calories, carbs, protein and such per serving? 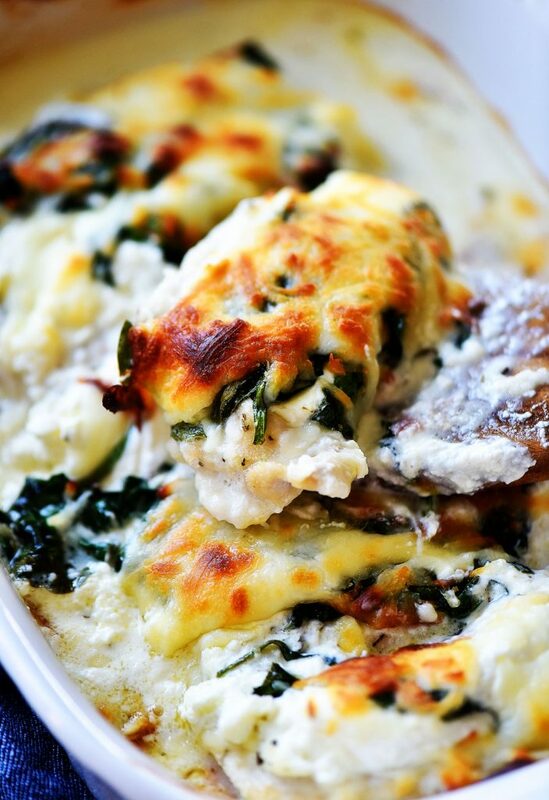 Have this in the oven right now. Can’t wait to try it just not sure how to log it in my food log. I sautéed some mushrooms and then added the spinach. Also added chives before throwing on the cheeses. Mine was a bit runny/watery – I think it was because I did not pre-cook the spinach? – but it was delicious – I will most certainly make it again! Was a great recipe. Even my picky husband loved it. Made this tonight with boneless skinless chicken thighs (that’s what I had on hand) and added sautéed mushrooms because I LOVE spinach and mushrooms together. Cooked it for 45 minutes. There was a lot of liquid in the pan after cooking, but I used it to make a package of Knorr rice pilaf for my son. It was absolutely delicious! Will DEFINITELY be making this again (and again and again)! So happy to have found a new recipe to get me out of my tried and true (and boring) routine!! So great to hear! Thank you Tracey! 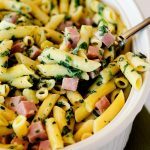 This recipe was really delicious over all! My only difference would be to bake at 350 for longer rather than at 400. My chicken turned out a bit rubbery. The cream cheese, spinach and mozzarella combo was amazing!! Rachel, I think that’s a great suggestion on the reduction of the temperature. I’ll fix that on the recipe card. The flavor was great. But the chicken was sort of rubbery. This was absolutely delicious. I made this for my hubby and four-year-old daughter and they both said, “Make this again!” It was really easy. I did use chicken tenderloins instead of breasts. This was pretty darn good. I’m not a big chicken breast fan, but I happily ate a piece. I used four chicken breasts, sliced into cutlets, instead of three, and used the whole block of cream cheese to compensate for the extra chicken,and didn’t add the olive oil to the chicken, because I was honestly being lazy lol. but didn’t change anything else really. as with a lot of baked chicken breast recipes, this did have a lot of liquid/broth from the chicken, when done cooking. 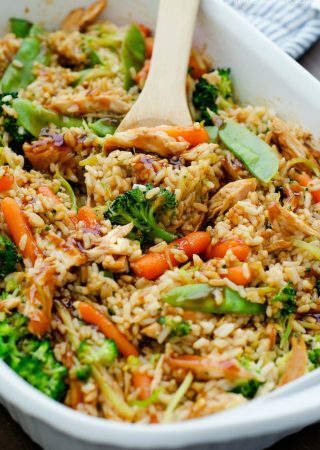 We spooned some over a side of rice, and found it to be quite yummy, adding a subtle herb taste. For my chicken breasts 35 minutes was perfect, when tested with a temperature gage. Excellent! Something different to serve for dinner was a treat! I’m so happy I found this recipe, it’s a keeper. I made this ahead of time and just baked it for dinner… . I also served the chicken with baby red boiled potatoes as a side dish. Made for dinner tonight, was easy and quick. 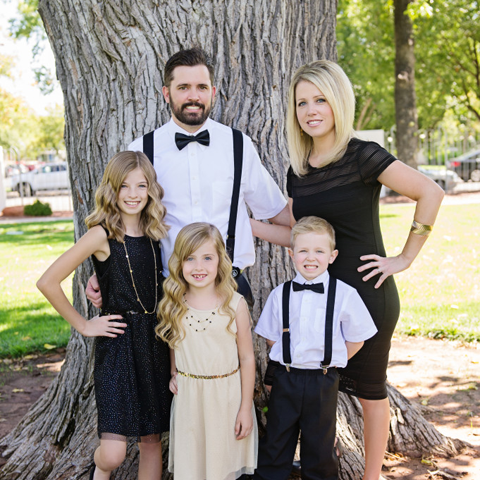 Nice change, my husband even liked it. This definitely is a keeper. Thank you for sharing.